Spring finally arrived last week in Paris, and I took my bike out for its first spin in months, which is highly unusual. I didn’t used to be a fair-weather cyclist. That’s not true today. Cycling here has gone from about 1% of the commuting population to about 15%, according to the City of Paris. That’s huge growth in the 15 years since I wrote my guide. When I started cycling here, there were no real bike paths at all, just faint paint marks on the asphalt from years gone by. Seeing me in my Lycra bike pants and helmet, Parisians would tease me, yelling “Tour de France!” Cyclists were few, and even riders on the tour didn’t wear helmets! 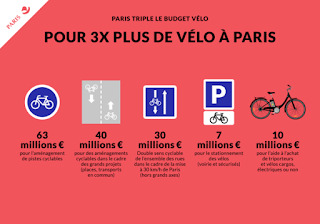 Today, Paris has 700 kilometers of dedicated and shared bike paths, and has big plans in the next five years. It plans to invest €150 million to double the kilometerage of paths to 1400. Plus, the authorities are building north-south and east-west express lanes so that bikes can zip from one end of the city to the other unimpeded by stop lights or cars. They’re calling it Réseau Express Vélo or REVe—which means “dream” in English. What’s more, while the city has been eliminating parking for cars, it plans to add 10,000 spots for bikes. Riding in Paris, I have long believed, is a natural. The terrain is mostly flat, though some hills can fool you, like those leading to Passy, Montmartre, or Belleville. The only problem are the cars. But even the amount of car traffic isn’t so bad, outside of rush hour. Sunday mornings can be bliss on a bike. Now I said cars, and I don’t mean drivers. 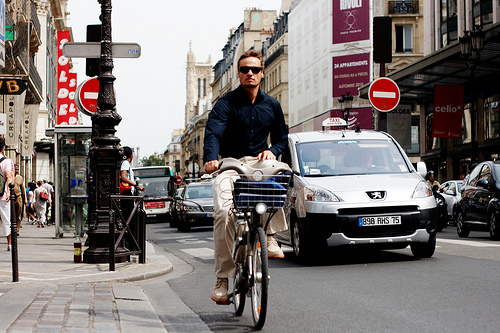 Parisian motorists usually watch out for cyclists, and are bound by law to give a meter’s berth. Unlike in the U.S., where drivers seem to believe that they alone have paid for the asphalt! Pittsburgh has seen some dreadful, fatal cycling accidents lately. In Paris, it’s the cyclists who aren’t used to the idea of heeding traffic signs. One thing that’s supercharged the use of bikes for transport in Paris are low-cost public rentals through the Vélib program. The system was launched in the summer of 2007, and now boasts 23,600 bicycles and 1,800 stations, with an average daily ridership of over 100,000 in 2014, according to the mayor’s office 2014 report on commuting. Vélib is one reason why I haven’t—until this week—replaced my own 30-year-old hybrid. The rental bikes are maintenance-free for the user. 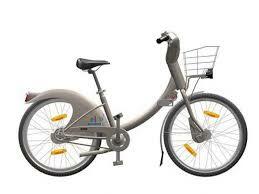 But the Vélib is also the reason I’m buying a new bike. It weighs a ton! (More precisely, 22.5 kilos or 50 pounds.) My commute is now twice as long since I moved to the 'burbs, and after pedaling that tank for 40 minutes each way, I’m exhausted when I get home! The word The Vélib is a mashup for Vélo and libération—bike and freedom. It describes the dreamy way I feel while cycling in the city, even uphill. 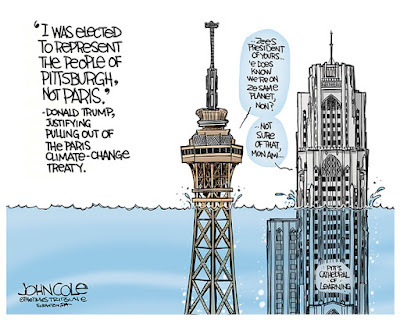 Now if the mayor could only do something about the weather?